When I designed the CNC Construction Set, I wanted the builder to be able to use any 1/2” stock to make the various adapter plates, like the ones shown here. The plates are attached to several other steel and aluminum components to help with rigidity. Even with that in mind some materials are better suited to certain plates. In this installment, I am going to look at how different materials flex, as well as how they may or may not be suited for the various plates. I will be looking at the following materials for use as plate stock. Each is piece I will test is 1/2” thick (nominally). They will be cut to 2-1/2” wide by 12” long, as shown above. I chose these materials because they are readily available and are what I had on hand. Each test piece will be clamped to a piece of of extrusion with a 6” overhang. While no plate stock on the CNC Construction set has anywhere near this much overhang. I needed this much so I could get enough flex in the more ridged materials. A mark is placed in the center, 1/4” from the edge as shown here. A dial indicator is placed on this mark and zeroed. For my weight, I used this cast iron grill. Its weight along with the wire and S hooks is 5.96 Lbs. With the weight suspended on one S hook, the other is placed on the test piece at 1/8” from the edge. The distance the test piece flexes at the marked point will be recorded. You can use analog dial indicators or digital. They all worked fine. The only ones I don’t recommend are the test indicators as they don’t have enough range on the more flexible materials. I used both the digital and analog dial indicators. While the digital ones were a little easier to use, I found the analog dial indicators, more accurate, as you could easily detect readings between the resolution lines. Not so for the digital units. The following are the results for the tests I performed. The results were inline with what I felt they would be. A couple things did stand out though. Cast acrylic was almost twice as flexible as the Corian which is acrylic based. This is probably due to the alumina trihydrate that has been added to the Corian. The MDF also rates pretty high on the rigidity tests. 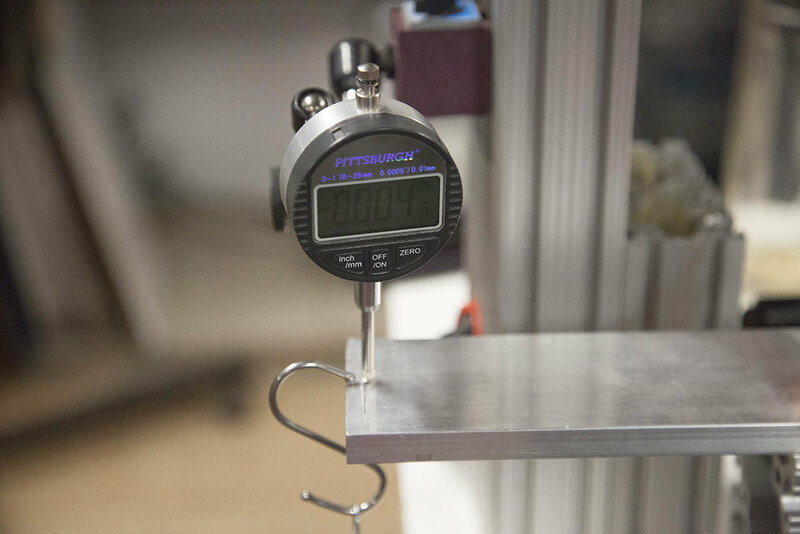 It is important to note the weight of each test piece. 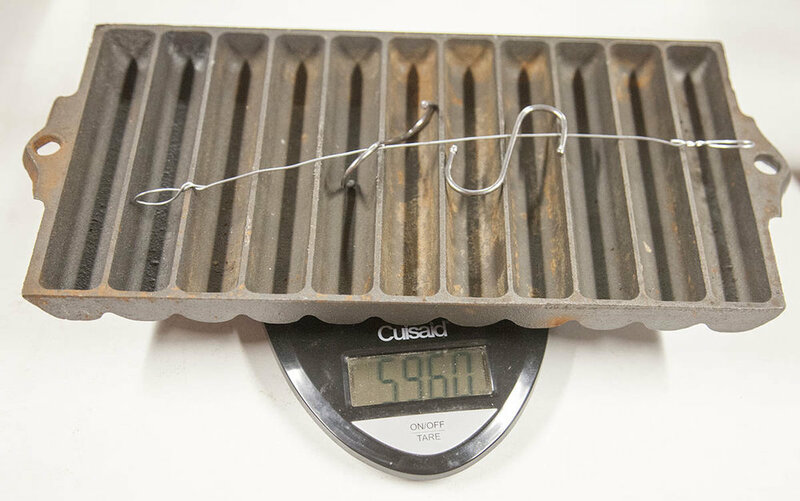 While aluminum is the most rigid of the materials tested, it is also the heaviest. 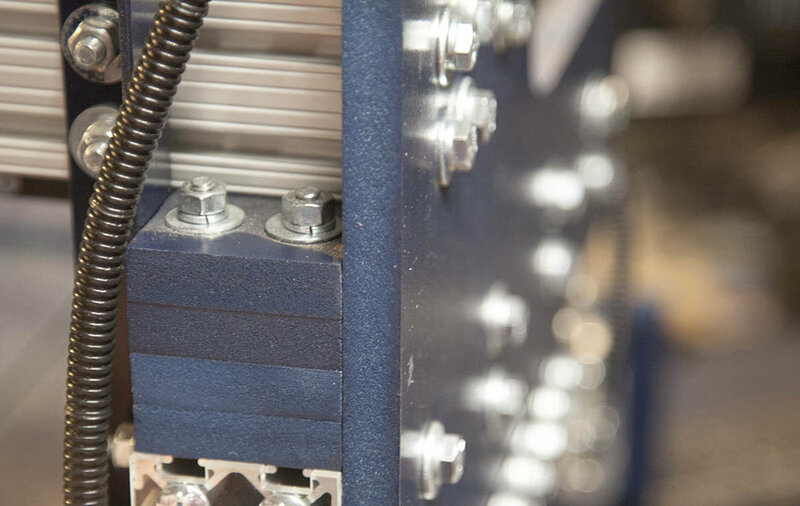 You could replace all the Z axis plates with aluminum, the weight would limit the amount of acceleration you could achieve compared to MDF or any of the plastics. In closing I wanted to touch on my experiences on working with the above materials as they relate to CNC Construction Set plate stock. I use aluminum for many projects. Its durable, hard and rigid. But it is expensive, both in the raw material and shipping. Its weight can also be an issue for some components. About the only finish I do on my aluminum is a brushed look by hitting it with some 220 sandpaper and a orbital sander. If you want something more than this, you will have to look in to anodizing. One major disadvantage is it can be difficult to machine pockets without special machinery. However, once your CNC is complete (using other plate stock), you can use the CNC to machine new aluminum components. You can purchase aluminum plate from you metal supply house or order it online. Due to its weigh, you may want to look locally first. The Z-axis motor and bearing mounts are good candidates for aluminum. The gantry risers are another. Possibly the X carriage plate. Due to its weight I would not replace the Z carriage plate or risers. Please not that the aluminum alloy I tested was 6061. There are other alloys available that are both more and less rigid. Corian by far is my favorite material for plate stock. It is very easy to machine with standard woodworking tools and is second only to aluminum in its rigidity. Corian is not 1/2” thick technically. It is manufactured to 12mm which is closer to .47”. This does not present a problem as the CNC Construction Set was designed to tolerate this difference. The thickness of Corian tends to be consistent within a single piece, but it can vary as much as .0175 from piece to piece. Corian takes paint very well and all sides can be finished to a very smooth and constant finish. Corian can crack near the edges if it is not flush with the surface you are attaching it to. Availability and cost seems to be Corians Achilles heel. I am blessed with several Habitat for Humanities outlets called “Restores” in my area. I have purchased whole counter tops for less than $50. If you are not so lucky, you will have to purchase it online from surplus outlets. These can be pricey. 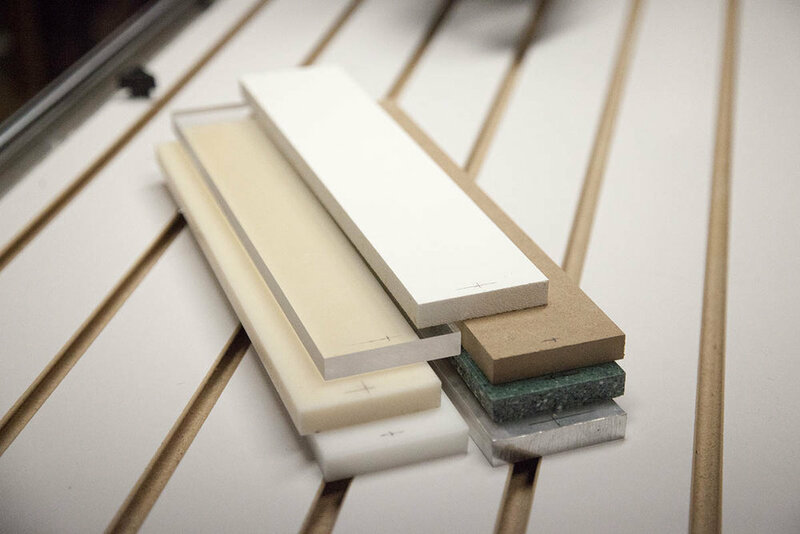 All plate stock on the CNC Construction Set can be built using Corian. MDF is probably the cheapest plate stock you can use. While not ideal in some cases, it can be used as your initial plate stock material. While it can be hard on your tools, it is very easy to machine with standard woodworking tools. Later you can machine some Corian or Aluminum. It is available at most home centers and its thickness is very consistent. MDF takes paint very well and its faces finish up very smooth. The edges can be problematic though as they are very porous. Several coats with sanding between will be needed to achieve a smooth surface. Using a filler may help. MDF has a tendency to split when fasteners are added to the edge as shown here. Because of this splitting, I recommend replacing the Z motor and bearing mounts once your machine is complete. While MDF is a little more rigid than some of the other plastics. This may vary from manufacture to manufacture. All the plate material on this machine was made with MDF. It has performed very well. I will eventually replace the Z-axis motor and bearing mounts due to the edge splitting. All the other plate stock has performed very well. PVC takes paint extremely well. Note that it was intended to replace trim. Its edges can be rough and don’t finish up very well. PVC is the most flexible (least rigid) of all the materials tested. It is also the softest. Notice how the bolts leave an indentation. While PVC is the most flexible, and softest material, the machine shown here was built exclusively with PVC. While not quite as ridged as one built out of Corian, I have used it to mill every thing from aluminum to fiberglass. HDPE performs very well. Its rigidity is similar to that of MDF, but it does not suffer from the edge splitting when adding fasteners to the edges. It is easy to machine with standard woodworking tools. Nothing sticks to HDPE, so painting is out of the question. HDPE is harder than both MDF and PVC so it does not suffer from the indentation issues of the fasteners. Its also not as brittle as Corian so its very hard to crack. HDPE can be used for all CNC Construction Set plate stock. Note that HDPE has a tendency to warp over longer distances, and there is a good chance that the material your purchase not to be flat. At first, when I received the stock, I though I would not be able to use it. But since almost all plate stock used on the CNC Construction Set is supported by other components, it gets pulled back into shape. This warping however can make it difficult to cut at times. ABS is similar to HDPE in almost every way except it is much more expensive. Here is a 12” x 12” x 1/2” sheet. ABS has one advantage over HDPE, it can be painted. It can be machined but not as easily as HDPE. For these reasons, I would only use it for some of the smaller adapter plates. Cast acrylic is one of the more ridged materials. It falls just a little better than MDF. It is more expensive that some of the other plastics. It can also be painted. The downside to acrylic is that it has a low melting point and can stick to your tools when machining. It can be done but only at slow speeds. For this reason, I don’t recommend it as plate stock unless you already have some on hand. I really only added it to my test because I already had some. There are other materials like Derlin or Polycarbonate that will probably work as well. I just don’t have any 1/2” thick stock on hand to test. I have used both for other projects. Derlin reminds me of HDPE, but I have only seen it in black. Polycorbonate can be hard to machine, and is more flexible than acrylic. I took the most flexible material, PVC, and added a 1/16” thick piece of aluminum able. The flex went from .115” to .02”. That is a decrease of over 500%. This is why the performance of even the softer PVC works very well on the CNC Construction Set. The design allows for several of the components used to act as braces. The X bearing mount and the Y-carriage adapter plate are both attached to the aluminum extruded riser. In this case the 2” x 4” x 14” extruded riser becomes just one of the braces used to secure these pieces.